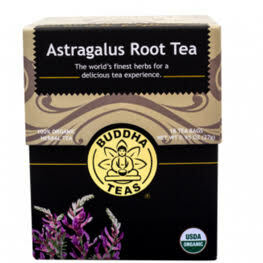 If you are looking to purchase astragalus tea I would like to recommend my two favorite places. The first, Buddha Teas, is one of the best online suppliers of herbal teas. They are perfect for anyone who likes to enjoy their teas with a tea bag. The second place, Starwest Botanicals, is for people who like to make teas with the actual root itself. Before you look at the two companies and their options, you may be interested in knowing what health benefits you get from astragalus. This herb is a staple in Chinese culture and they’ve been using it for more than 2000 years. There it’s called huang qi, which translates to “strengthener of qi (or chi).” Qi is the Chinese term for life force, vitality, stamina, disease resistance and the ability to handle emotional and physical strength. 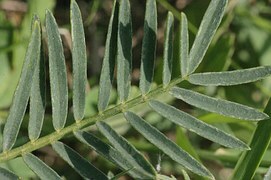 Modern practitioners of Chinese medicine prescribe astragalus for diabetes, heart disease and high blood blood pressure. They believe it improves all bodily systems and is particularity helpful against illnesses that cause fatigue. Westerners are beginning to catch onto the power of this herb. In one study, astragalus proved to invigorate human T cells (responsible for fighting infections) and another study showed great improvement of white blood cell’s, macrophrages, ability to fight bacteria, viruses and fungi. This herb has shown great promise in helping people suffering in cancer and with AIDS. You don’t need to be suffering from any of these problems to drink this tea. You can simply enjoy and reap the benefits of a healthier and more powerful immune system. Buddha Teas makes sure to use the most natural ingredients possible and they refrain from adding chemicals to their tea bags. 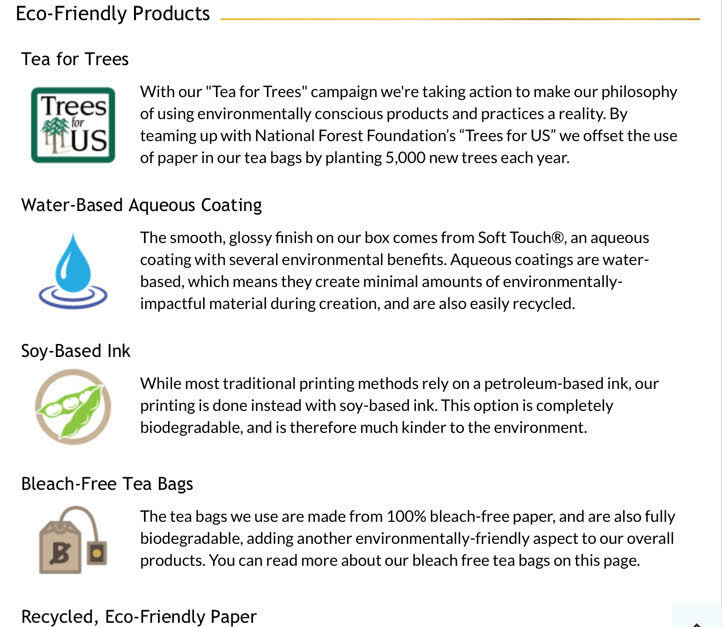 Also, they plant over 5000 trees a year to offset all the paper they consume. They do other great things for the environment too. Check it out below. Buddha Teas actually back up their claims about caring. 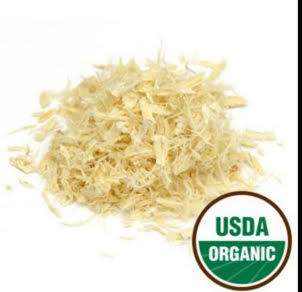 The astragalus tea they offer is USDA Certified Organic, which means the ingredients were grown in the most ideal manner. They offer different amounts and prices to suit your needs too. Their most inexpensive option is 1 box for $8.99. Each box comes with 18 bleach free tea bags and is perfect for someone just trying astragalus out. If you are a frequent tea drinker, you may be more interested in the next two options. They offer 3 boxes for $22.92 (saving you 30%) and 5 boxes for $35.95 (saving you 35%). This comes out to around 40 cents per cup of tea. I don’t really go to Dunkin Donuts or Starbucks but a tea there will cost closer to $5 per cup. If you drink a cup everyday, that’s around $150 a month! With Buddha Teas it’s less than $15 per month and the ingredients are the same quality. It’s really that easy to get all of astragalus’ benefits. There is free shipping for orders over $50 too. You may not want $50 worth of just astragalus but they have every tea imaginable. You can do all your tea shopping there to take advantage of the free shipping. Starwest started out as a small herbal retailer in California over 45 years ago. They offered such high quality products and were so dependable, their business grew tremendously. Now they are one of the most respected and well known suppliers on Earth. This is a perfect option for people who like to make their own teas using fresh herbs. Like Buddha Teas, their ingredients are USDA Organic. They offer two different variations of astragalus that can be used to make a tea. The first is the root cut and shifted and the second is the root sliced. They both are excellent options and the main difference between them is how they are prepared. The cut and shifted option comes in two different amounts. There’s a $8 option for 4 ounces and $21.58 option for a pound. For a tea, just steep 2 teaspoons of the root in boiling water for 10 minutes. The sliced root comes in two different sizes as well. The 4 ounce option is $12.08, while the 1 pound option is $37.75. To make a tea with these ingredients, you will need to finely cut 4 or 5 sticks and simmer in 4 cups of boiling water for a hour. You can drink a glass in the morning and a glass at night. Starwest offers many other astragalus preparations, including capsules, powder and extracts. It’s worth checking their entire selection out; the more options the better! The great thing about herbs and herbal teas is there’s very limited side effects, especially when compared with pharmaceuticals. However, there’s still a few things to keep in mind to avoid any problems. This herb is generally considered safe and if you follow the recommended dosages you should be completely fine. You should give yourself a break after a few weeks of using though. If you are giving to an older child or an elderly person, start off with 1/3rd to 2/3rd of the recommend dosage and go from there. Most importantly, talk your doctor before taking medicinal amounts of anything and get a proper diagnosis if you are using for treatment purposes. Do You Feel Encouraged About Astragalus? You should! This is a wonderful herb with so many benefits; the best being the immune system boost. The two options in this article are really great and I use both all the time. If you have any questions or want to share an opinion, comment below and I’ll make sure to respond as fast as possible. Also, share on social media for your friends and family to see. I’ve never heard of Astragalus tea before but anything that helps prevent diseases or boosts the immune system i’m all for it. I was looking for info about green tea and i stumbled upon your article. What do you think is better overall? Astragalus or Green tea. It was under the impression that green tea has the best health benefits above all else. Green tea is trendy. Astragalus is used in chemotherapy and with people with AIDS; it’s that powerful. However, green tea can be drank everyday and astragalus should be drank in 3 week periods. What’s best really depends on your needs. Some herbal teas can help with coughs and colds and others help with urinary problems. What’s best for some is not best for others. Do you have any other questions? Hello, I just recently discovered your website, and I really like it. It seems that you really want to help people, and I appreciate it! This Astragalus tea looks really good and it’s definitely worth the price. I’ll definitely consider buying it. I’m glad you like the website and I try to help as much as possible. This is a really great tea and you should definitely think about buying. I think this is my first comment from Lithuania too! Thanks for commenting.